The holiday season is one of the best times of the year. Use these holiday season safety tips to ensure a happy and healthy time. If you have children, Christmas safety tips like this are required. Make sure that you decorate your Christmas tree with them in mind. Keep delicate, breakable ornaments high on the tree and out of their reach. If you know your child is the active kind – one who might attempt to climb the tree itself – it’s best to leave delicate, breakable ornaments off the tree entirely. They could cause cuts or other injuries if they break. If you have both a pet and some houseplants, you’ve probably made sure that your houseplants are safe to be around. Many common houseplants, such as the Schefflera, are poisonous if ingested by dogs or cats. But at the holiday season, many people do not consider plants with the same amount of care, especially if they do not expect to keep them in the home long-term. Poinsettias are poisonous to dogs, cats, and small children. If ingested, these popular holiday plants can cause vomiting, diarrhea, drooling, and itchiness (if the inner sap touches the skin). If you want to keep poinsettias in your home along with a child or pet, make sure that you place it out of reach. If the plant is ingested, call the Poison Control Center hotline at (800) 222-1222 for guidance and advice. Children are often at the center of the holiday season, with relatives from far away eager to spoil the youngest generation. However, children – especially young children – can also be put at risk by the attention. Be careful not to give children toys that they could choke on, and be vigilant to ensure that they don’t slip small pieces of wrapping paper or ribbon into their mouth. Additionally, check the Toy Recall List from the Consumer Products Safety Commission to ensure that the toys you’re giving to children have not been recalled. If a child does begin to choke due to swallowing a small toy, CPR can help. For this reason, it’s important to ensure that you are CPR certified in case of an emergency. 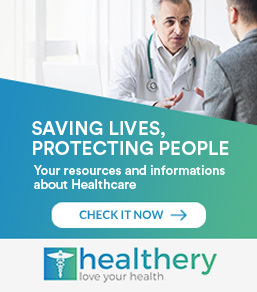 Since there are different CPR procedures for adults and for children of different ages, it’s important to stay up-to-date on what could be a lifesaving technique. Some of the most common and most cherished holiday decorations include candles and flame. Whether it’s an elaborate candelabra dotted with thin tapers, thick, scented pillar candles arranged neatly in the middle of a display, or a centerpiece candle that’s festively shaped, candles do carry risk. About 25 home fires are started by candles each day, causing about 3% of the total home fires. This doesn’t seem like a lot, but it actually is. Candles can be decorative and festive even without flame. If you do choose to burn them, however, make sure that they are in a safe place and away from prying fingers. They should be on a flat, non-flammable surface. Look above the candle as well, and make sure that there is nothing that could fall on them and catch, such as a festive holiday wreath or swag. Finally, do not burn candles near a Christmas tree, especially a real one. As it dries out, it becomes a fire hazard that could cause significant damage if it were to light. Practicing holiday season safety means that you’ll be able to enjoy the season without fear. Houses look beautiful when they’re decked out in festive lights, but these can be dangerous for non-professionals to install. If you plan to line your house with Christmas lights, use these Christmas safety tips to ensure success. Plug in all of your outdoor Christmas lights while still indoors, so you can replace any bulbs that have burnt out while you are still on the ground. Make sure any ladder that you use is on a flat, solid surface. Because it is the midwinter season, ensure that there is no snow or ice that could compromise the security and safety of your ladder. Do not put lights in any trees that touch a power line, and do not hang lights so they come into contact with a power line. This could cause a serious fire and power outage. Always turn the lights off when you go to bed and when you leave the house. In the case of an emergency, you need to be able to respond quickly. This is a tip that many people have heard as a way to get rid of the juices on meat. However, rinsing poultry is actually dangerous! When you rinse raw poultry, surrounding surfaces can be contaminated by bacteria that travel when the water sprays. If you want to remove the juices or dry raw poultry, pat it dry with paper towels, and then discard. Do not use dish towels, as they may hold on to bacteria from the poultry. For this, it’s best to use paper towels and discard them immediately to prevent cross-contamination. Food safety extends to more than just the cooking! While eating a delicious meal and talking with loved ones you haven’t seen in a while, it’s possible to choke. If this happens, call for emergency services immediately. You may need to perform CPR while you wait for them to arrive. 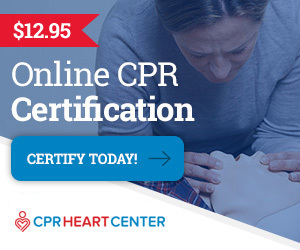 Ensure that you are up to date on your CPR certification – or become CPR certified if you are not already – to prevent tragedy from happening at your holiday gathering. Around the holidays, many people indulge in food that they don’t typically eat the rest of the year. Often, that means deep-fried food. Because it requires a lot of oil, deep-frying is best done for a crowd, since the additional labor of frying a few batches isn’t much more than the labor required to fry for a single person. And with the particularly American tradition of deep-fried turkey, there are many people deep-frying at the holidays who don’t tend to use this cooking method year-round. Since 2002, there have been 168 fires related to deep-frying turkeys, which caused injuries to 672 people and over $8 million in property damage losses. Set up the turkey fryer outside, on flat ground, at least 10 feet away from the house. Make sure your turkey is fully thawed and patted dry, as water can cause the hot oil to spit. Keep a fire extinguisher nearby. DO NOT try and put out a grease fire with water: it will only cause it to spread. Follow these turkey frying Christmas safety tips for a happy and healthy holiday season. Whether you’re cooking for one or cooking for twenty, you definitely don’t want to give anyone food poisoning! Cooking larger cuts of meat or entire birds, as often happens at the holidays, can be more difficult and require techniques not used year-round. For this reason, always use a meat thermometer to ensure that the center of the meat is fully cooked. Fresh beef, pork, lamb, and veal should be cooked to 145 F and then rested for three minutes; fish should be cooked to 145 F but does not need to rest; ground beef, veal, lamb, and egg dishes should be cooked to 160 F; and poultry should reach an internal temperature of 165 F, as recommended by the USDA. When working with meats as well as vegetables, cheese, or other ingredients, make sure to use separate cutting boards, knives, and plates for raw meat to prevent cross-contamination. If you’re short on cutting boards, make sure to wash them thoroughly in hot, soapy water (or ideally run them through the dishwasher on a sanitizing cycle). If you cannot do this, it’s okay to cut meat on a cutting board that had previously been used for non-meat items, but it’s dangerous to cut non-meats on a surface that had previously been used for meat items. The holiday season is often a time to see elderly relatives, who might be staying with you in your home. Make sure that there are nightlights lining any walkways and illuminating rooms, such as the bathroom, that might be needed in the night. Additionally, ensure that you accommodate any medical needs that your elderly relatives have. It’s best if someone in the house is CPR certified. 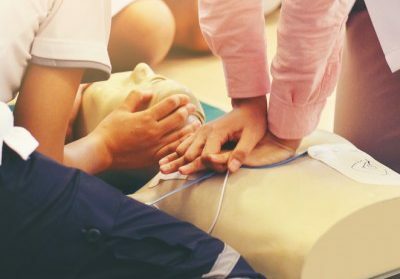 In the case of emergency, CPR is a lifesaving medical intervention that could be the difference between life and death. Practicing holiday season safety is important to ensure that everyone has a great time! Before the evening starts, appoint a designated driver. While holiday festivities are a great time to get loose, you never want to do so in a way that endangers others. If it is impossible to appoint a designated driver, there are many options that do not require a person who is under the influence to drive. You might be able to stay overnight and drive in the morning, catch a taxi, or take advantage of the increasing popularity of ridesharing apps to get home safely. No one wants their car to break down, especially not in the cold winter, but it’s important to be prepared. Keep a roadside emergency kit in the car that contains items such as cones, flares, a wrench, extra oil, an inflated spare tire, etc. You should also ensure that there are warm items such as blankets, coats, and heavy socks to protect any passengers that might be stranded or need to walk to get help. If you haven’t taken your car in for service in some time, it’s a good idea to do so before a long winter road trip. The mechanic might be able to identify and fix any potential problems before they become serious while you’re on the road. Additionally, swap your regular tires out for snow tires if you live in an area where this would be necessary. What is CPR and its Importance?